Balony Strong 30cm, Pastel Lavender Blue , 1op. 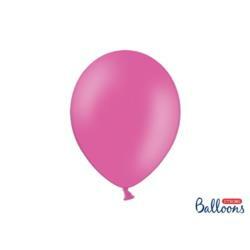 Balony Strong 30cm, Pastel Hot Pink, 1op . Balony Strong 30cm, Pastel Poppy Red, 1o p.
Balony Strong 30cm, Pastel Pure White, 1 op. Balony Strong 30cm, Pastel Black, 1op. Balony Strong 30cm, Pastel Baby Blue, 1o p.
Balony Strong 30cm, Pastel Baby Pink, 1o p.
Balony Strong 30cm, Pastel Mint Green, 1 op. Balony Strong 30cm, Pastel Warm Gray, 1o p.
Balony Strong 30cm, Pastel Mandarin Oran ge, 1op. Balony Strong 30cm, Pastel Blue, 1op. Balony Strong 30cm, Pastel Emerald Green , 1op. Balony Strong 30cm, Pastel Lime Green, 1 op. Balony Strong 30cm, Pastel Green, 1op. Balony Strong 30cm, Pastel Aquamarine, 1 op. Balony Strong 30cm, Pastel Royal Blue, 1 op. Balony Strong 30cm, Pastel Honey Yellow, 1op. Balony Strong 30cm, Pastel Bright Green, 1op. 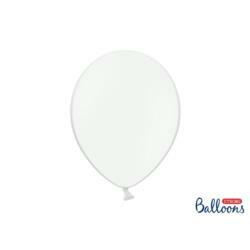 Balony Strong 30cm, Pastel Light Cream, 1op. Balony Strong 30cm, Pastel Lagoon Blue, 1op. Balony Strong 30cm, Pastel Ultramarine, 1op. Balony Strong 30cm, Pastel Lemon Zest, 1 op. Balony Strong 30cm, Pastel Cappuccino, 1 op. Balony Strong 30cm, Pastel Gray, 1op. Balony Strong 30cm, Pastel Bright Orange , 1op. Balony Strong 30cm, Pastel Cornflower Bl ue, 1op. Balony Strong 30cm, Pastel Maroon, 1op. Balony Strong 30cm, Pastel Cocoa Brown, 1op. Balony Strong 30cm, Pastel Cappuccino, 2 0szt. Balony Strong 30cm, Pastel Honey Yellow, 20szt. Balony Strong 30cm, Pastel Cappuccino, 1 0szt.